Author: Miller, Judith Set In . . . 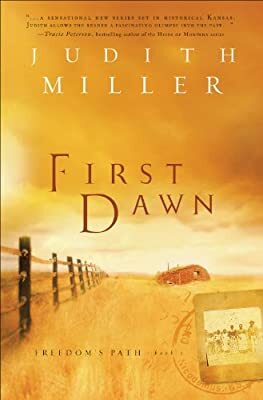 Description: Lured by the promise of "real" freedom and a new town to call their own, sharecroppers Ezekial Harban and his three daughters leave behind remnants of slavery in the war-torn south and set off for Nicodemus, Kansas. When they arrive, they are shocked to see that little of what they were promised actually exists. Many head back home, but Ezekial and his daughters are determined to build a new life in the stark territory. Dr. Boyle, a newly arrived doctor in neighboring Hill City, is called to deliver a baby in Nicodemus. He and his family are moved by the plight of the settlers there and vow to help. But the white pioneers of Hill City face problems, too. When the lives of these two families intersect, neither town will ever be the same. Freedom's Path Book 1.